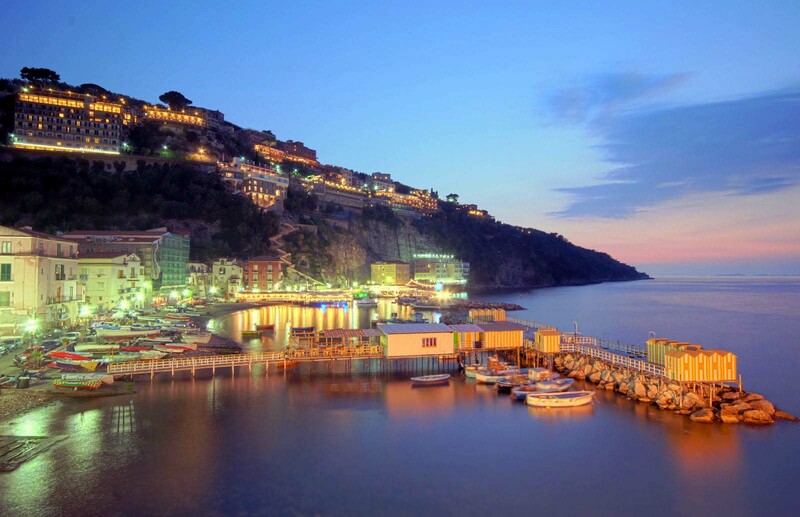 For our 37 apartments in Sorrento, we show actual room availability. With the name of the town some beautiful legends are associated. According to one of them, first settlers of this area were Phoenicians; they gave the city its name. It is believed that it was formed from the word ‘sireon,’ which means ‘the land of Sirens.’ First inhabitants of the city believed that mermaids, or sirens, have lived in these places. Their divine songs have attracted sailors to the island; subsequently they couldn’t keep themselves from staying in that picturesque area. That is the legend described by Homer in his Odyssey. Sorrento is famous for its wine-making traditions. Local wineries produce liquors and wines following ancient traditions. Common souvenir for tourists is Limoncello liquor produced from local fragrant lemons. A true national drink is Lacrima Christi wine; the symbol of Sorrento also has its own unique story. In case of a doubt, please contact us via the contacts below regarding your booking of an apartment or apart-hotel in Sorrento, Italy. OrangeSmile.com provides 37 inexpensive and comfortable apartments in/near Sorrento - often with hot deals and last minute discounts.